We didn’t go away, no. 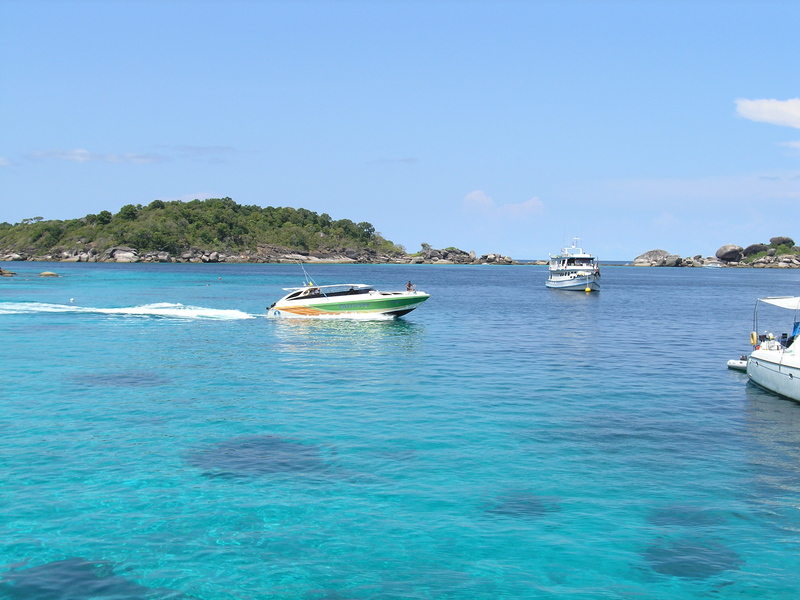 T’was but a brief nap as it were – With my Olympus out of action due to a broken sync cable connector on my beleaguered underwater housing, my recent trip to Perhentian was nothing more than an experience to enjoy, without the encumbrance of a camera. Nice. 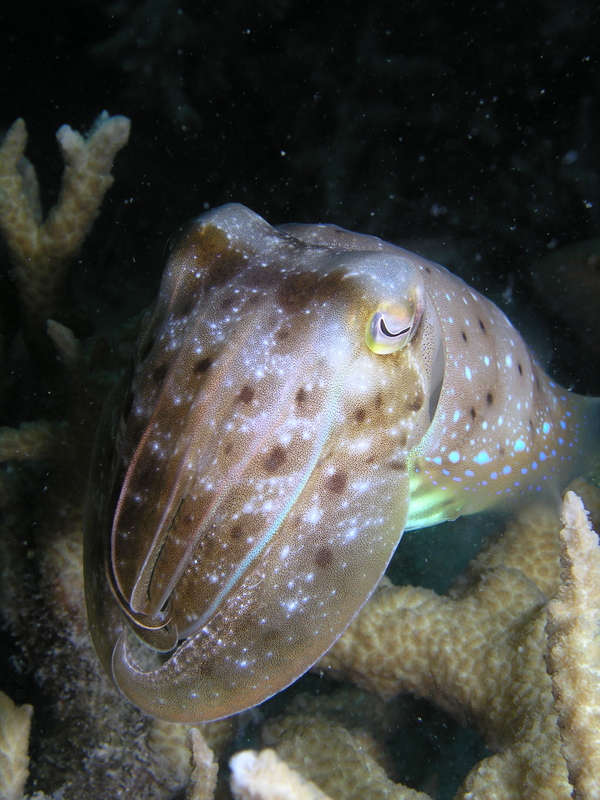 Must say it was a good 2 days’ diving in wonderfully warm and clear waters. Schools upon schools. Very learned fish. Mostly of the common reef variety – but nice to see them in such prolific higher education. There was some nice underwater geography too. Camera definitely comes along on the next trip. Strange, did I say encumbrance? Visited a nice sweet wreck – Sugar – it was called. Curiously, it was almost entirely encrusted with clams or some related bi-valve. Inside and out. It created a surreal landscape before our masked eyes as we sculled our zaggered way through the wreck’s overhangs and cargo bays. Rumor has it that in the nearby rubble resides an ocean stallion amongst the strewn wreckage, but alas we n’er did find it. Azman, proprietor of the dive centre, swears its there though – and has promised to take us to its hideaway the next time we come diving. Sweet. Just so this episode does not go by without a lick of visual candy, here’s a pic of my anemone sting in all its glory, or should I say, gory. Although technically, it should be described as an envenomation. Due apologies for the horrendous photography – it was taken with a phone cam about 5 days after the stinging. The stinging itself was barely perceptible, though the subsequent pain was akin to being burnt – spit roasted over slow fire – for a good hour or so. 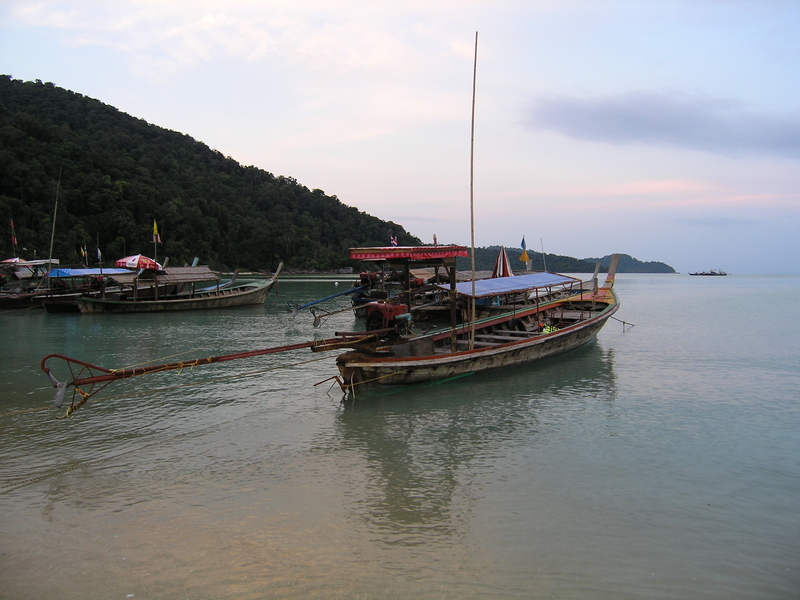 The story on the boat post dive of the stinging occurrence is good to tell. I’d worn only a rash-guard during the dive leaving my exposed thigh to be stung. Bad move. 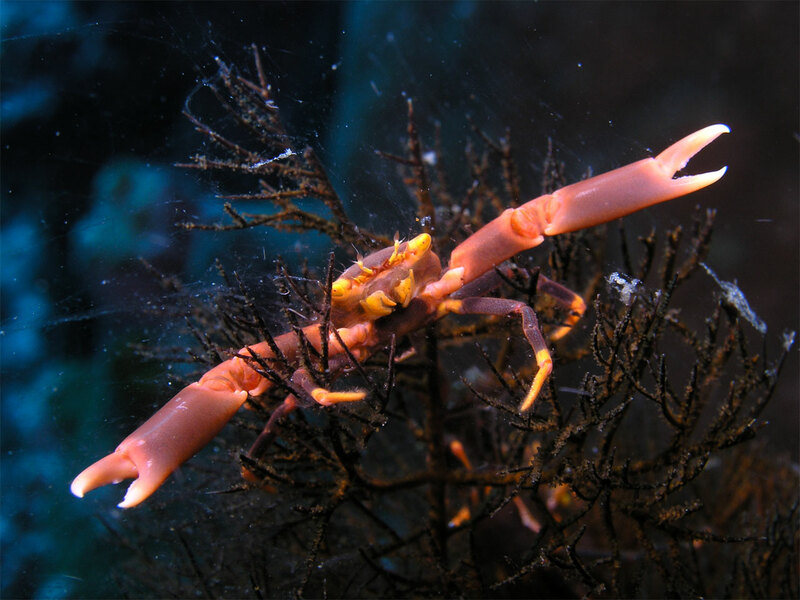 I announced as I climbed aboard that I’d been stung during the dive, activating the capable crew who jumped to action. They gave my flaming inner thigh a glancing inspection (yes, there’s not much to see there) and prescribed unanimously that I’d have to see the cook !! Yes, the ship’s cook, no less. At that point, I assumed she was also the ship’s doctor but all such illusions evaporated when she emerged from the steaming galley wielding a sizable cleaver. Needless to say, I cowered in fear screaming ‘DON’T AMPUTATE!’. It took 5 divers to hold me down. Thankfully she produced a bottle of common vinegar and sloshed the burning boils with generous volumes of the sour brew. It neutralised the venom and relief came slowly but surely. The entire episode ended nearly two weeks later, after the itching red blotches you see in the photo subsided. We’re on for some more training in familiar waters over the next couple of months and will resume our explorations later in the year. Intended destinations are aplenty, but as they say so many places to go, so little time. Not to mention money no enough too in my case. Meantime, my fellow subaqua voyeurs, stay on the buddy line – we’ll be charging our tanks for more underwater adventures with tales to tell on these pages. Hopefully there’ll be pics galore to accompany them. So keep bubbling till then, arrivederci! 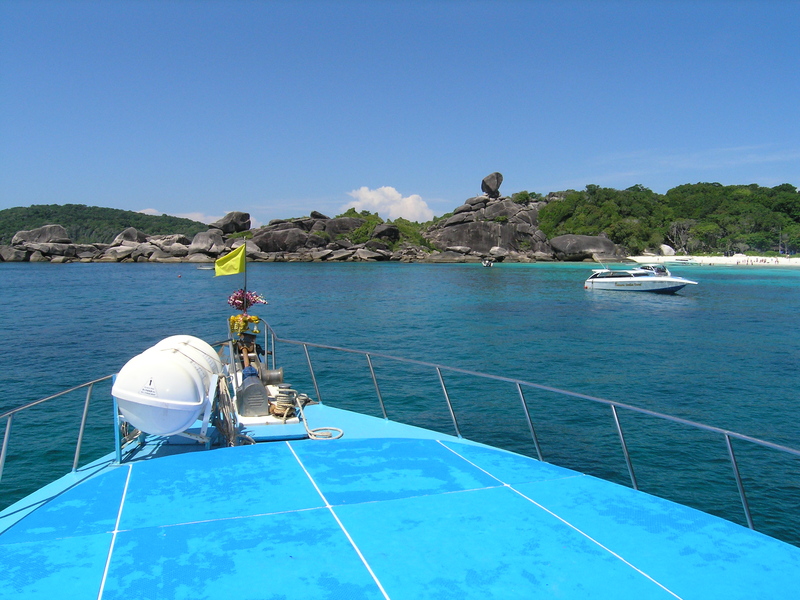 Well, it was a good three and a half days’ worth of diving, probing the depths of Similan’s fair isles. 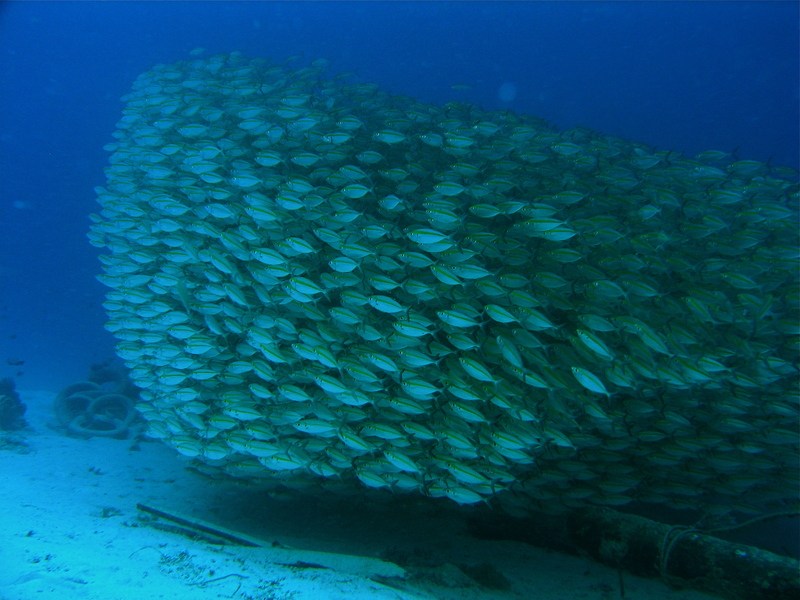 Fish soup is what comes to mind on every dive – schooling fish by the hundreds. At one rock, bait fish packed so tight they entirely obscured a crevice opening large enough for 2 divers to enter side-by-side. Whilst memories of the excellent dives and excellent dive boat (& crew) now spring vividly in my mind, they may well soon fade without the refreshing aid of digital imagery. You see, the underwater housing for my trusty digicam had failed. Again. Completely, this time. The discovery of a broken bit of plastic belonging to the sync cord connector proved to scuttle all hope of bringing back fishy pics from this trip. Never-the-less, I will supply a few obligatory pictures of azure seas & lush islands, idyllic beaches & a quaint village we encountered on our trip. The Olympus C-5060WZ did. 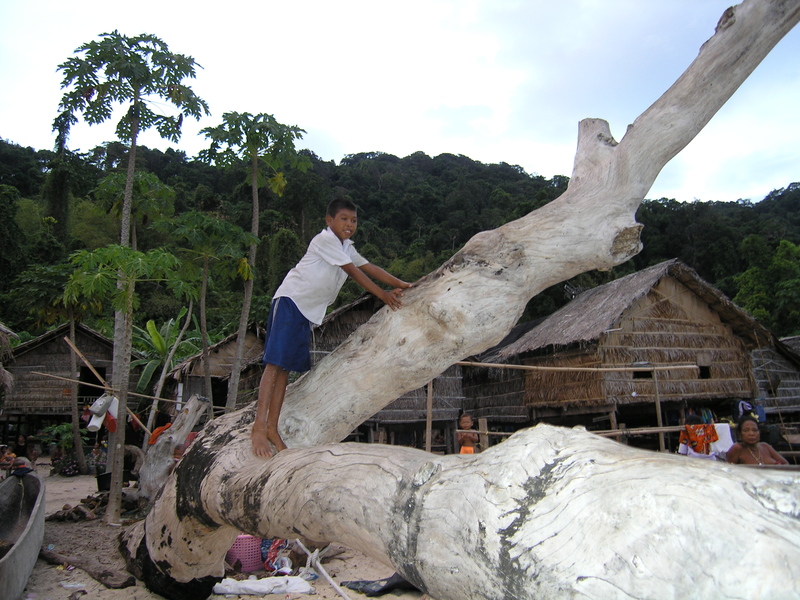 Its using up its store of lives, now on its second flood survival. It was also dropped at least twice on previous occasions. I wouldn’t hesitate to recommend this camera on the basis of its ruggedness. However, yet again I’m denied the opportunity of buying a new camera. Sigh. But it may be a good thing though. Save up the dollars for later and newer technology at a future date. That’s a thought. Now where’s that camera housing – gotta get it fixed before the next trip! 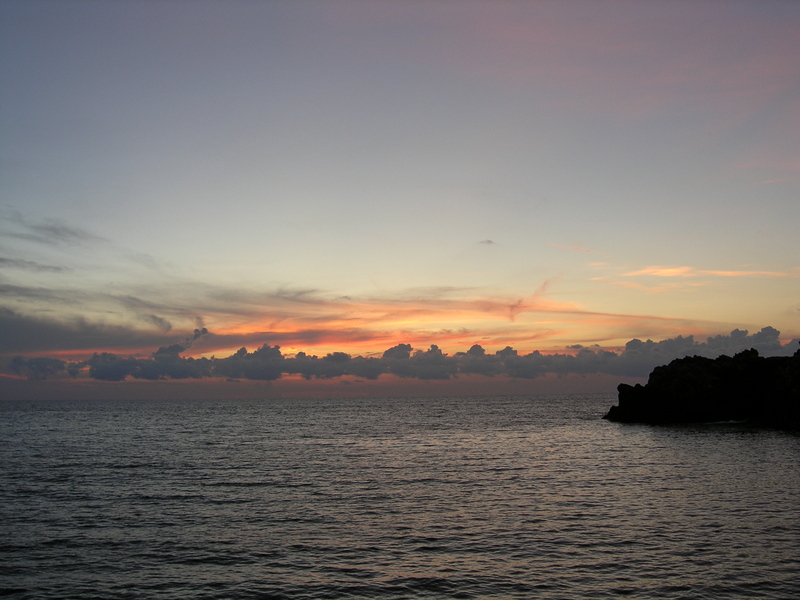 That’s all the pics for you in this installment – In the meantime live well, dive safe y’all! Here’s a Clown and Blur Sotong for you folks! Its been a while since I’ve let out a squeak on these pages. 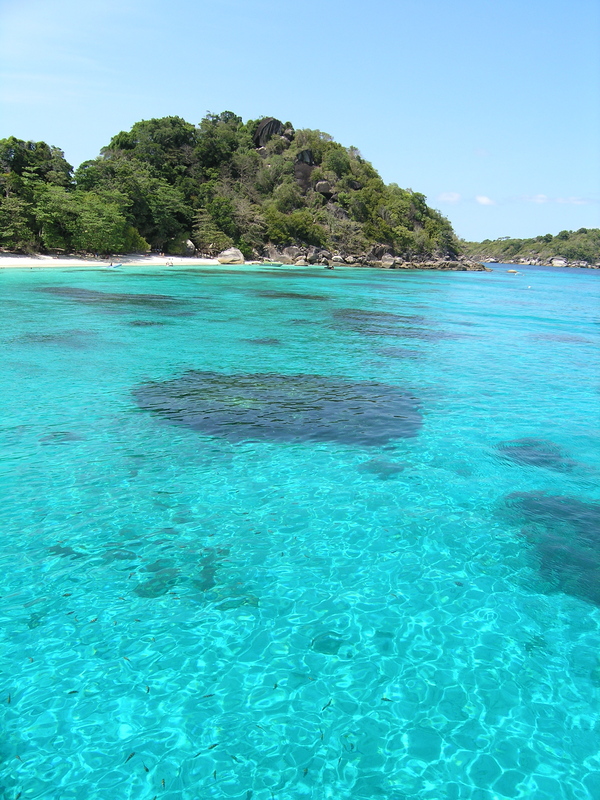 No, Dive Bubbleheads haven’t been idle – we’ve been to Dayang (training), took a group to Manado, and explored Similans on a nice live-a-board. All of that in 2007. Here are some pics from those trips. 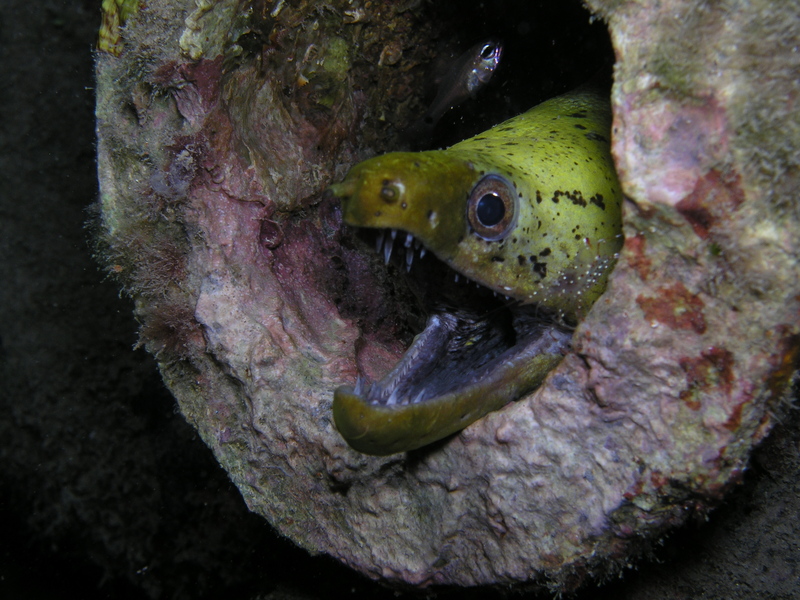 Mornin’ Moray was yawning away while peeking thru the rubble under the jetty, while the nearby school of Kuning were having a ball of a time. 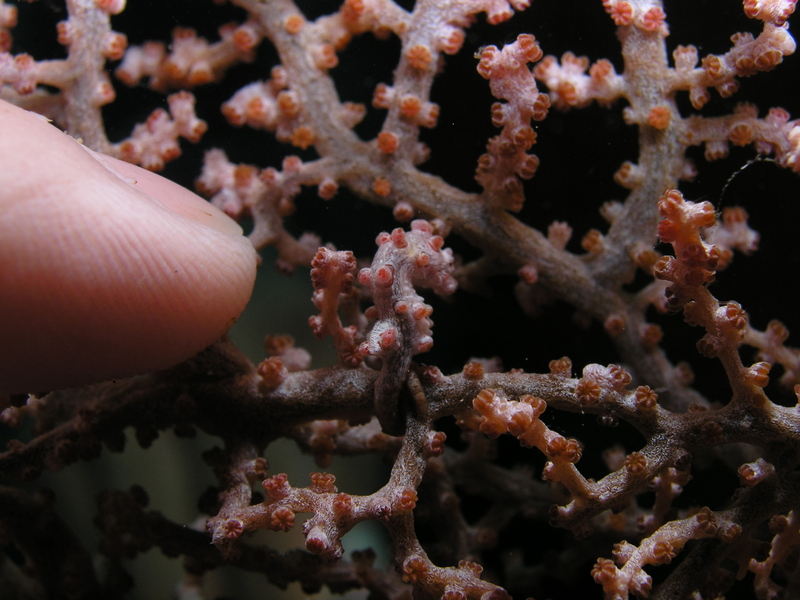 Rare find of Pygmy Seahorse (no, that’s my index finger!) 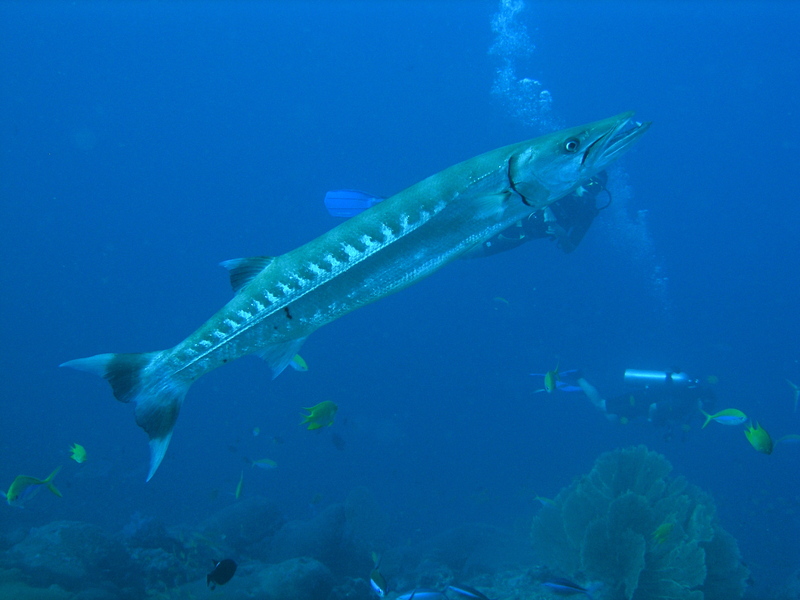 in Lembeh Straits, Bitung (Manado) and a wary-looking Solo Barracuda atop the reef in the Similan Islands. We all managed to get away without being snapped at. Phew! For me, I have decided to slightly shift my focus from teaching in 2008 and probably thru the next few years as well. I’ve decided that I will explore the dive sites in the South East Asian region with greater intensity, and will attempt to visit such diverse places as Burma Banks (Myanmar), Layang-Layang (Sabah), Raja Ampat (Irian Jaya), Komodo (Sunda Islands) & even Cebu (Philipines). 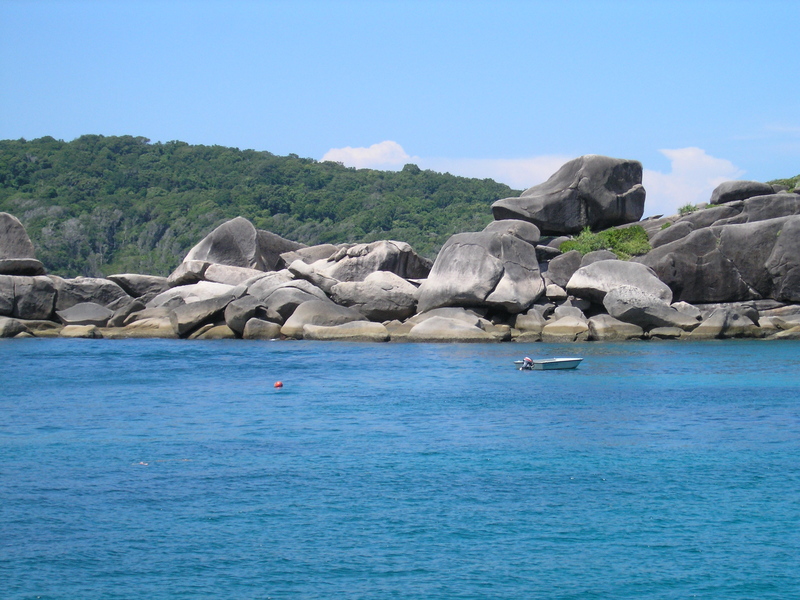 All this in addition to revisiting destinations of 2007, namely Manado, Sipadan and Phuket/Similans. I do not yet know when and in what order I will do these trips, but hopefully I will be able to announce them before-hand on these pages and you, my dear readers, are welcome to throw in your diving lot with me (presumably you’ll be a diver) as I go exploring these diving destinations. As it stands, I will be diving Similans 1st to 5th April 2008, likely do Manado in end-June, possibly Manado live-a-board or Sipadan between August to September this year. Just drop me a comment, email or try to catch me on Skype if you fancy some adventure! On a more mundane (or is this exciting?!) 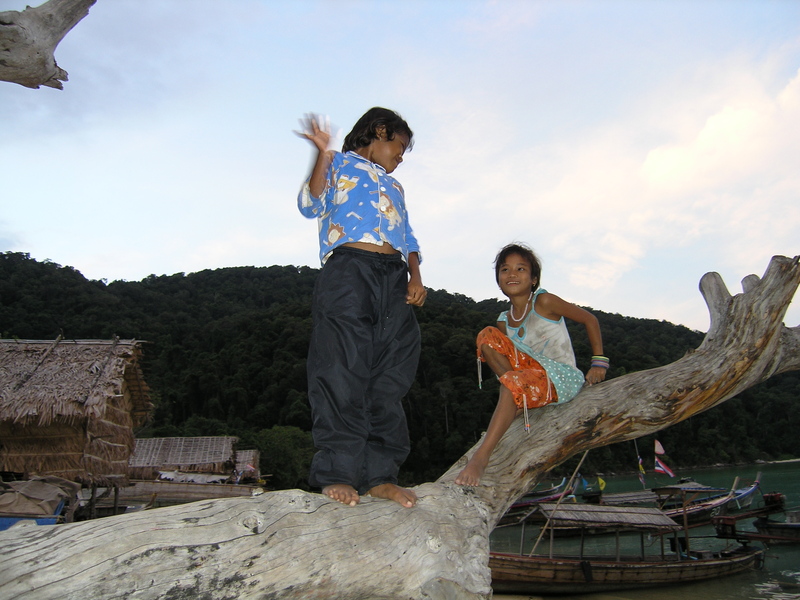 note, I found my camera case had sprung a leak on our most recent trip to Dayang this year. Fortunately the camera did not suffer damage, as the leak was such that water drops seeped in only at depths greater than 13m; so I was able to prevent total flooding by staying above that suicidal depth for the remainder of the dive with the camera. Here’s one of the pics I took on the dawn dive that day before the leak was discovered. 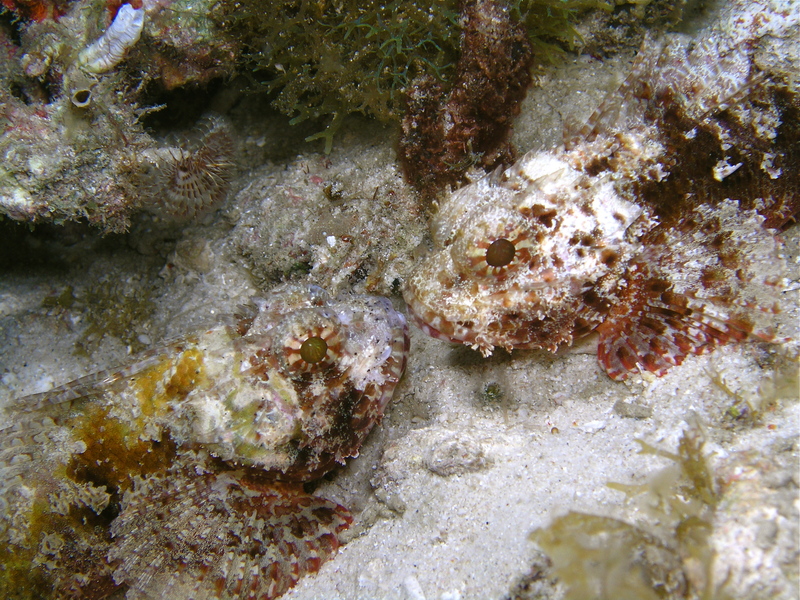 Fancy that, a couple of snoggin’ Scorpionfish! And at dawn too. hmmm. So till then, safe & happy diving to all of you! 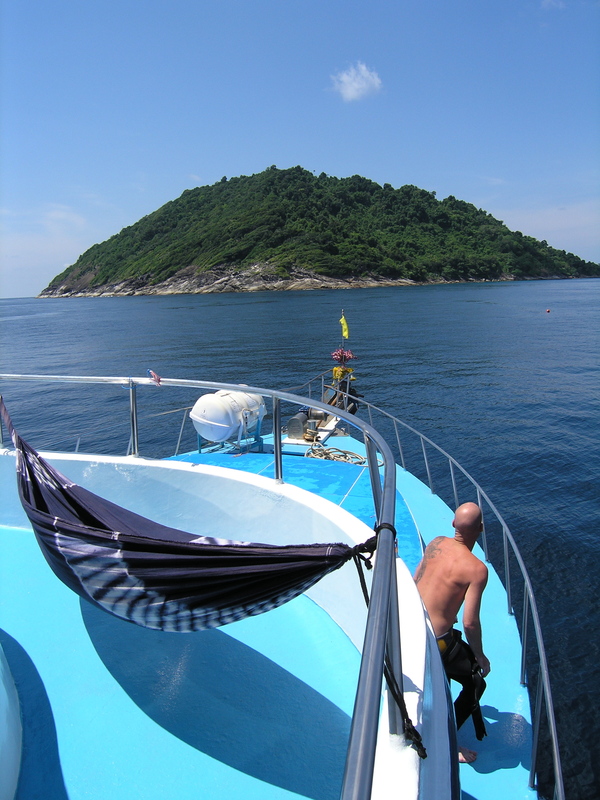 We’re all set to start filling up our diving calendar and will be putting up some tentative schedules soon. 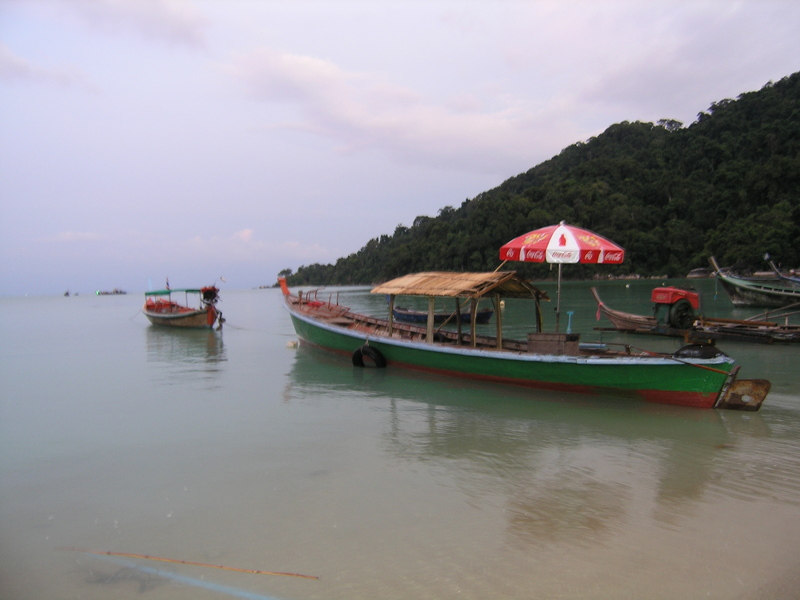 The standard training trips to Dayang and Tioman will likely begin last week-end of March (31, to April 1). If you are interested to take up diving as a recreational sport, or to pursue your continuing education in diving, please do contact us. The little fella you see in the picture above is only slightly larger than the average human thumbnail. But that didn’t stop him from facing up to a diver several thousand times his size who dared to wander into his domain. Puts a twist to the phrase “Welcome with open arms”! Finally, please do leave us any comments, queries, money, whatever on The Narked News and what you’d like for us to consider in terms of website content and/or diving locations. We do hope to hear from you soon. Welcome to Dive Bubbleheads’ first blog entry. As an IT practitioner, I feel rather ashamed to say that this is my first attempt at blogging. Yes, belatedly making a foray into this trendy media, desperately trying to play ‘catch up’ to the adept youth who seem to rule cyberspace these days. For you seasoned blog-o-philes, these pages will appear rather bland and amateurish and I can only promise that things (blog posts and diving) will get better and more organized as the coming year rolls along. An old dog CAN learn new tricks. 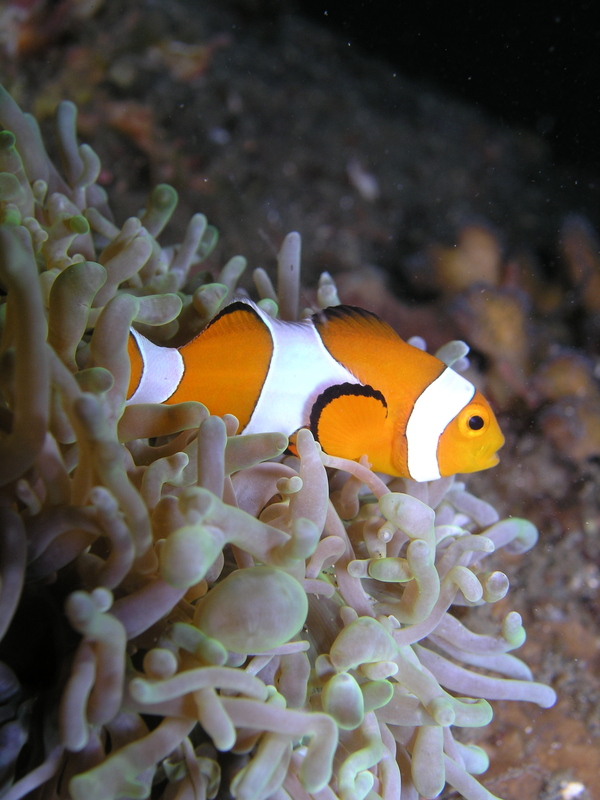 As you are well aware, the regular Malaysian Peninsular east coast is currently off-season for diving and so too are the main bulk of DiveBubbleheads’ diving activities, however next year holds great promise for renewed submersible fun as our key founding member, Andy is back in Singapore after his 2 year work stint in Vietnam. While our fins stay high and dry in the weeks ahead, our non-diving schedule is packed this year-end; what with Christmas and New Year round the corner, we (at least I) will be engaged in a number of church activities, singing gigs, street performances and family holidays which will catapult us headlong into the new year. Do return to this site every so often to visit, leave us a comment or question, and we’ll try to keep everyone happy, whether or not its related to diving. I hope you’ll spare some patience with me as I figure out how to build more content into these pages. 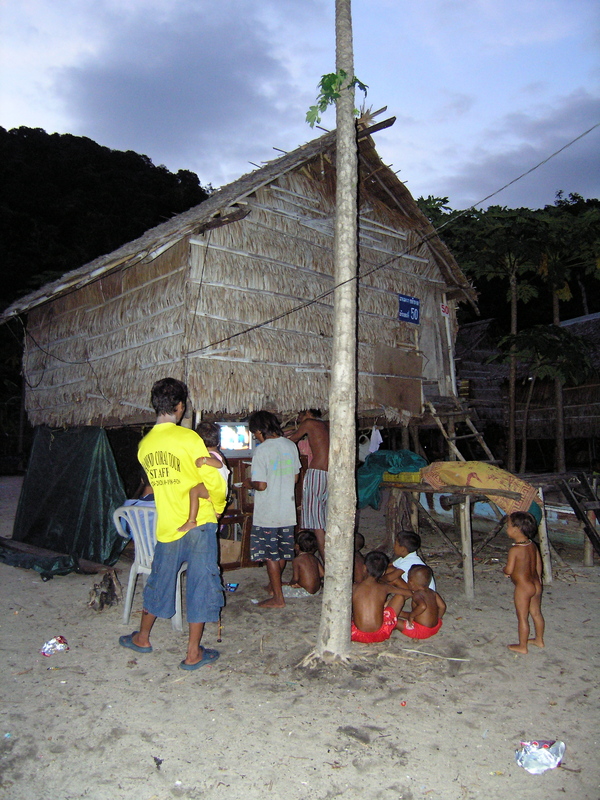 My intent is to keep our dive community updated and in contact through this blog. With that I’ll leave you for the moment with best wishes, and thoughts of Christmas and the purpose of Christ’s birth. Come interact with Sam and the local dive community on Sam's Facebook profile - but you'll need to login to Facebook first.